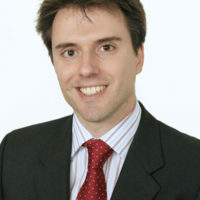 Robert Vidal is a partner specialising in EU and UK competition law. He regularly advises companies on compliance and has built up significant behavioural experience successfully defending companies during investigations run by the CMA and European Commission in the life sciences sector. He submitted the first successful appeal to the Competition Appeal Tribunal and built up notable experience on the interplay between intellectual property rights and competition law and regularly advises on commercial and licensing agreements. He has extensive experience of M&A work and has submitted a wide variety of merger notifications to numerous competition authorities including various mergers in the life science and technology sector. advising on various High Court disputes involving the application of competition law and the concept of “FRAND” to various patent infringement disputes. Robert has an LLB (European Legal Studies) from Durham University.